My advice to you? Listen to them (because I’m echoing their sentiment right now, and as a reader and reviewer who generally eschews reading a book because of hype, that’s definitely saying something). We may only be three months into 2017, but I’m pretty convinced that this book will be on every bookseller and reader’s best of 2017 list, and for a very good reason. The Hate U Give is simply brilliant. Inspired by the Black Lives Matter movement, this novel is not just a profoundly important novel providing social commentary on race, but it’s also one that raises the black community’s voice loud and proud by providing a marginalised community with an authentically black, vocal and strong female voice – one that we don’t see nearly enough of in fiction. The story revolves around 16-year old Starr who is the only witness when her unarmed best friend is shot by a white police officer. It’s a novel that sums up what it’s like for black communities to constantly deal with the systematic, insidious and hate-fuelled oppression they’ve been dealing with since the dawn of civilisation, and it’s one that I’m fairly sure will be eye-opening to many, even those who consider themselves the staunchest Black Lives Matter allies. 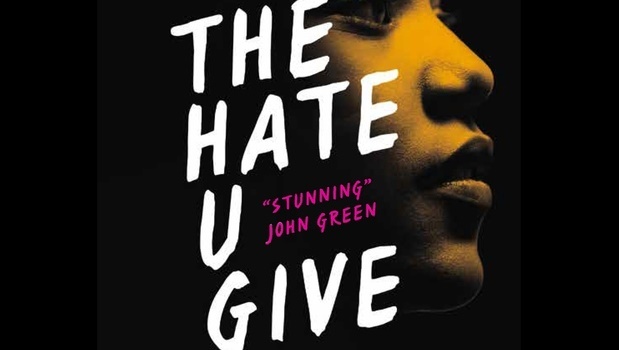 And if you’re wondering if there is a novel out there that can uplift black voices without demonising others (the way SOME white authors do), then The Hate U Give is a shining example of how to unpack issues of racial injustice, prejudice and oppression without spreading the message that hatred as a response is the go-to answer. Oh, don’t get me wrong, hatred and anger at years of police brutality, racial profiling and discrimination is more than justified. In fact, that is a bona fide response of black communities telling you that they’re sick of your racist garbage and one that we should never ever get to dictate, so even if that was evident in this book, my response would still be the same. We don’t get to police how they respond to their lived experiences, given the fact that a system of oppression has already done that for centuries. My point is that Thomas doesn’t villify an entire race the way media and police officers tend to do through racial profiling. And for every person who whines about how Blue Lives Matter and how this book is a tool for invalidating the work police officers do, one of the heroes in the story is a black police officer with a complex story, so do take your naysaying somewhere else. Also, The Hate U Give is not without its visceral and real response to injustice. There is valid anger. There is heartache. There is frustration and there are fighting and riots. This book speaks of a world of pain and anger and clearly shows that there is still a long way to go in order for black people to be regarded as human and for them to not be at the mercy of a judicial system that constantly fails them. The wonderful and remarkable thing about this book is that it’s not without hope. It’s also not just a book that was written for a cause. There are heart-warming and laugh-out-loud moments as you get to know the characters that dominate Starr’s world and life. Her relationship with her family and friends are solid and, at times, downright hilarious. The interactions are well-drawn out and show that these are people who not only stand by each other in spite of past mistakes, but who support each other no matter what. The community support in the neighbourhood Starr resides in is pretty phenomenal. Although there are residual tensions and gang violence, Angie Thomas manages to convey a strong bond and sense of community despite the problems they’re all facing. She’s also matter of fact about the gang rivalry that plagues the neighbourhoods and expertly juxtapositions the struggle that Starr faces as she tries to balance the world she lives in with the separate life she leads when she attends her upmarket school (where most of her friends and the students are white). When she witnesses the shooting, the trauma and fear that follows is pretty gut-wrenching to read. Post-shooting Starr is a nervous wreck and afraid to speak out. And who could blame her? When has speaking up and demanding justice ever gotten them anywhere? But as the story progresses and the media starts twisting the image of Khalil into that of a nothing but a thug, Starr finds herself wanting to make a difference, regardless of the consequences. There are so many layers to the book that I wish I could unpack, but I think that’s very much up to the reader to experience it. What I can say is that The Hate U Give is a wakeup call for people who are blind to issues of racial injustice. It’s educational, empowering, heartbreaking and speaks up loudly for an ignored, ill-treated and maligned community simply longing to be heard and to be viewed as equal humans. Most importantly though, it’s a book about finding your voice and finding the light in a world where people simply put out the light without your permission. Read it. It will change your life. P.S. There is a reason this book is called The Hate U Give. Look out for some of the pop culture references in the book and you’ll discover just how apt this title is. Read more of Tammy’s reviews on her blog.